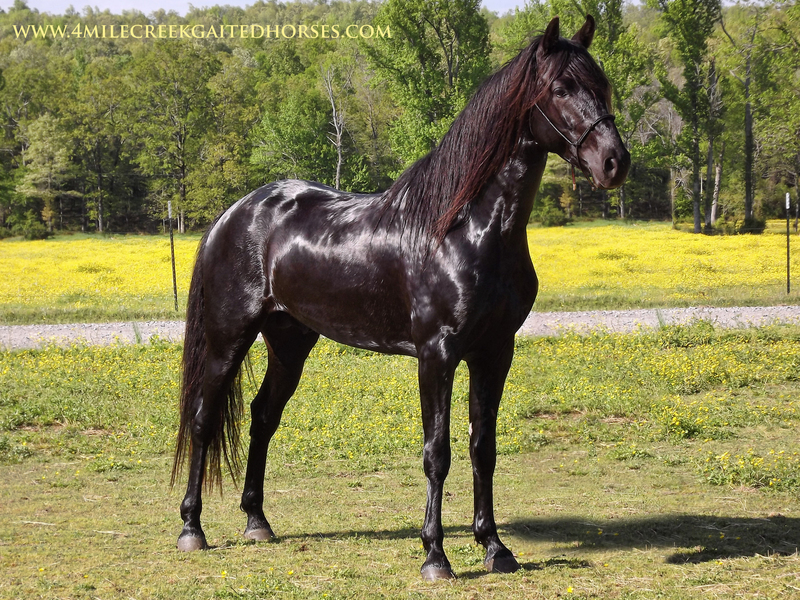 Hytone Ebony Doc M. is the last stallion by Hytone Spiritwalker M. He is absolutely stunning, talented and certainly show quality. There are many beautiful and talented Tennessee Walkers in his pedigree: Generator's Sundrop, Prides Generator, Gll's Carbon Copy, Rodger's Perfection, Ebony Masterpiece and Midnight Sun are a few that show on the bottom side, Delight's Dynamic boy, Delight's Dream Angel and Dream On and Hytone Doc are a few of the great talent on top side. 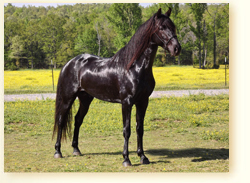 Doc is solid black, big and muscular standing over 15 hh.